With its central location, Hollywood Drive-Inn Hotel is within easy reach of most tourist attractions and business addresses in Baguio. All 40 guestrooms at The Hollywood Drive-Inn Hotel provide all the comforts and conveniences guests would expect in a hotel in this class. All of the guestrooms are replete with non smoking rooms, desk, internet access, television, shower, satellite/cable TV. 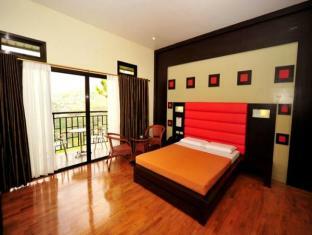 This Baguio accommodation features on-site facilities such as restaurant, room service, safety deposit boxes, WiFi . The Hollywood Drive-Inn Hotel offers massage to provide extra pleasure and relaxation for all guests. Along with its convenient location in Baguio, The Hollywood Drive-Inn Hotel also offers a wide range of services and facilities to the guests. To make your reservation at the Hollywood Drive-Inn Hotel quick and easy, please select your preferred dates of stay and proceed with our secure online reservation form.